I recently took some pictures of my son’s nursery because we decided to move his room to the back of the house and I wanted to remember what it looked like. 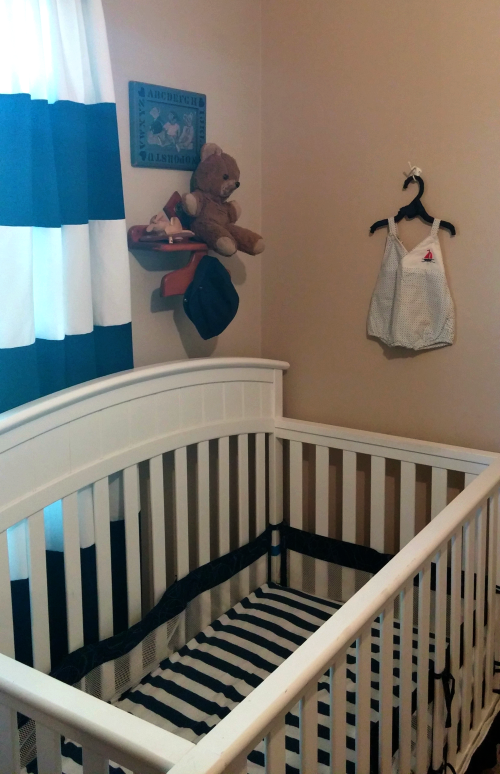 Over the past year, we moved things in and out of his nursery and rearranged it a few times according to his needs. But much of the decor has stayed the same, and I only spent $40 to decorate. Much of the furniture and decor we already had. 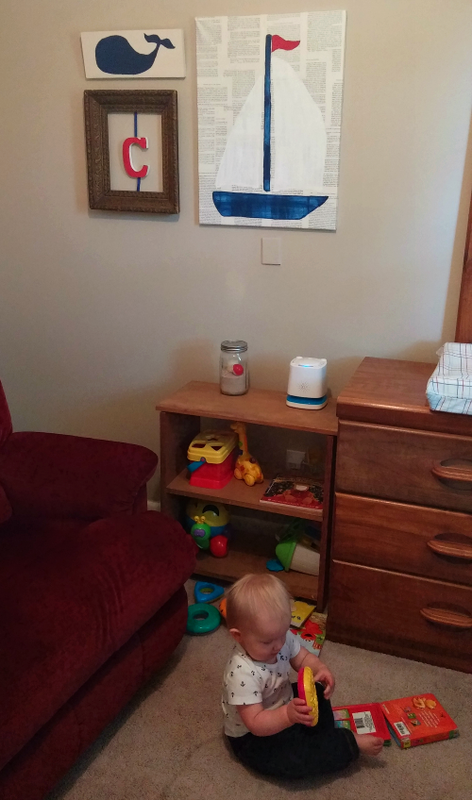 We used a dresser we already had for the changing table and my son’s dresser. The crib was given to us by a family that no longer needed it. My MIL made the curtains and bought the fabric for us. We used a rocker/recliner that we already had instead of buying a glider. 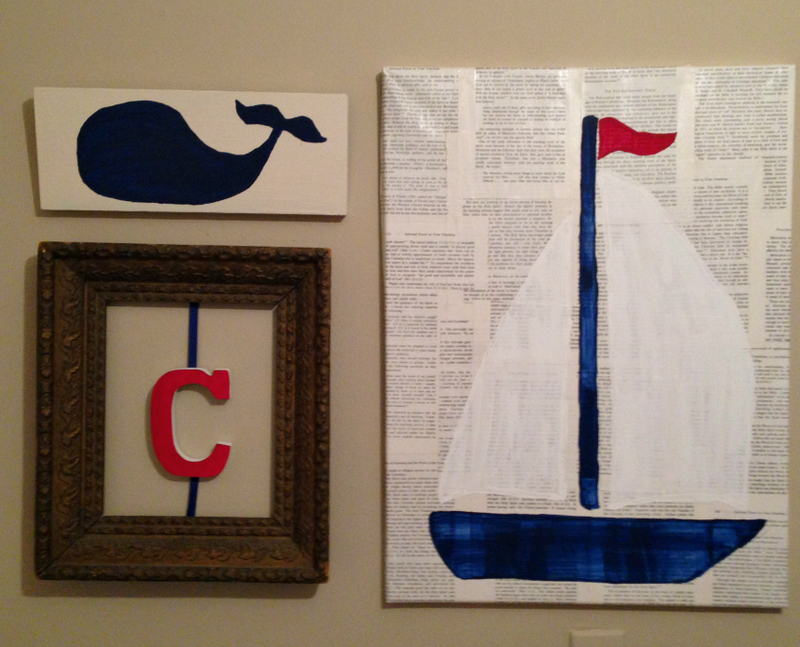 I also took a video of the room where I describe in more detail some of the wall decor. 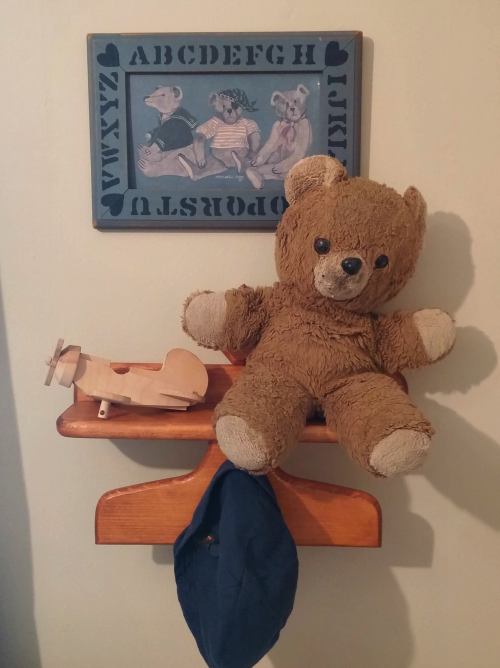 When I took the video we had rearranged the chair and dresser and taken out his toy shelf. 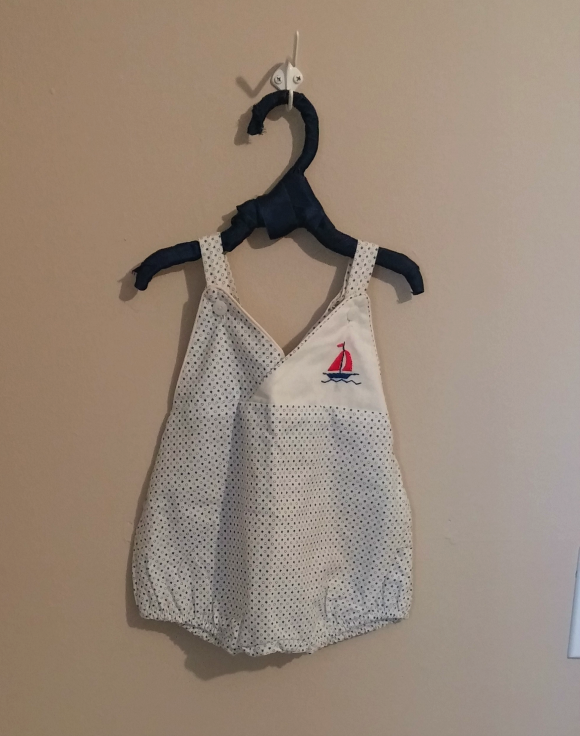 Check out my post for other ideas to save money on your baby’s first year.